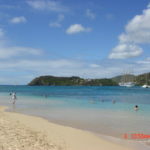 Travel by Tatten Women’s Getaways – has returned from their Caribbean adventure after a week sailing the Windward Islands. Our adventure started in Barbados where we boarded the beautiful 42-sail Royal Clipper – the largest full-rigged sailing ship in the world! We sailed in casual luxury on this spacious ship accommodating only 227 guests, with stops at some of the smaller ports and secluded beaches for a swim. You really need to experience first hand the unfurling of the sails – I found it emotional and heard one passenger say “what a magical moment” and another “this is magic” as the on-deck speakers play Vangelis’s Conquest of Paradise the 42 sails are unfurled – we were a striking sight! 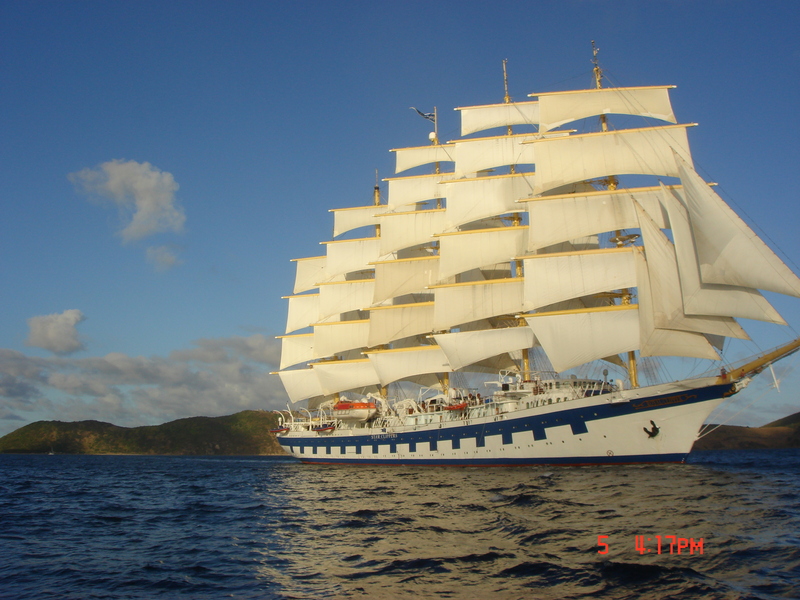 A fun day was when we sailed beside and raced the Star Clipper, they were doing the Grenadine Islands itinerary. 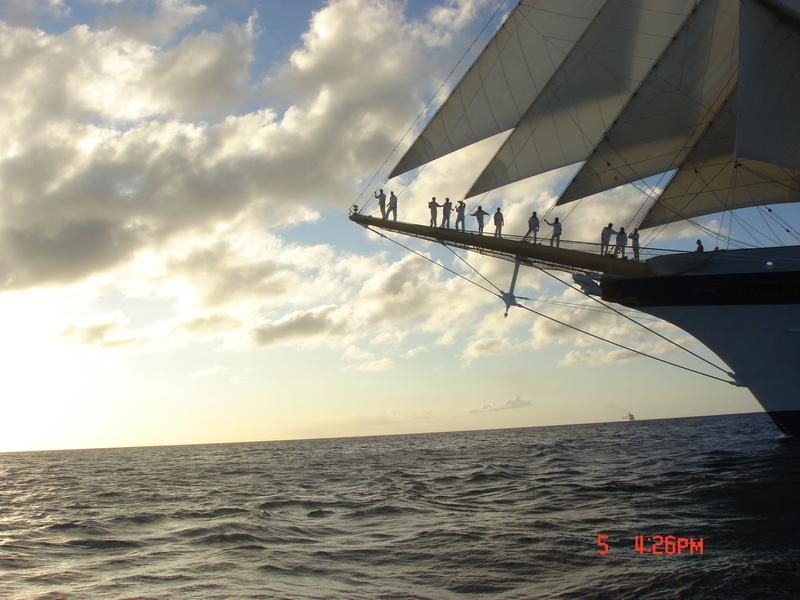 There are three ships owned by Star Clippers sailing the world. Did I like the cruise – I have days when I sit at my desk and dream of my deck chair on a quite uncrowded deck surrounded by beautiful blue water and wonderful islands as the trade winds blow and the sun sets. Did the group like the cruise – on the second day they were asking me what was the date of next years cruise.